We can all agree that the best way to approach the issue of water pollution would be to adhere collective decisions and cooperative actions. This would be considered vital when dealing with large bodies of water, such as the Great Lakes, which cross boundaries with the United States and Canada. 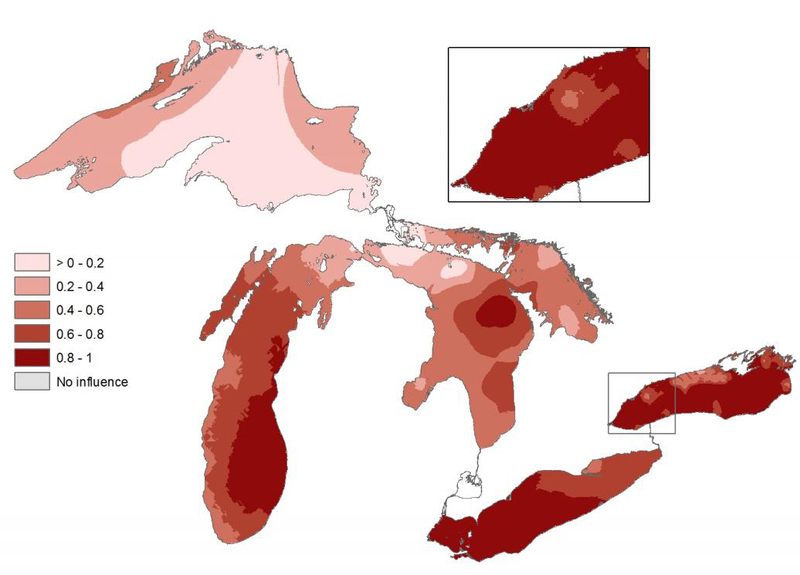 According to Environment and Climate Change Canada, "the Great Lakes provide the foundation for billions of dollars in economic activity, and they are a direct source of drinking water for 10 million Canadians” (n.a., 2017). Unfortunately, these large bodies of water are being threatened by land-based pollution, invasive species, and climate change. Each link will direct you to information on the individual stressor and will provide you with multiple maps for your viewing. I urge you to share these with others to understand that there are many complex combinations of stresses at play here. Life is full of choices… make the right choice! I believe we can all make choices to help and improve our future and the future of others. Please visit any of the previous websites I have posted to see how you can be a part of this positive change for the future. As a team, we can make a change for the better for our country, for Canada, and for others! 20). 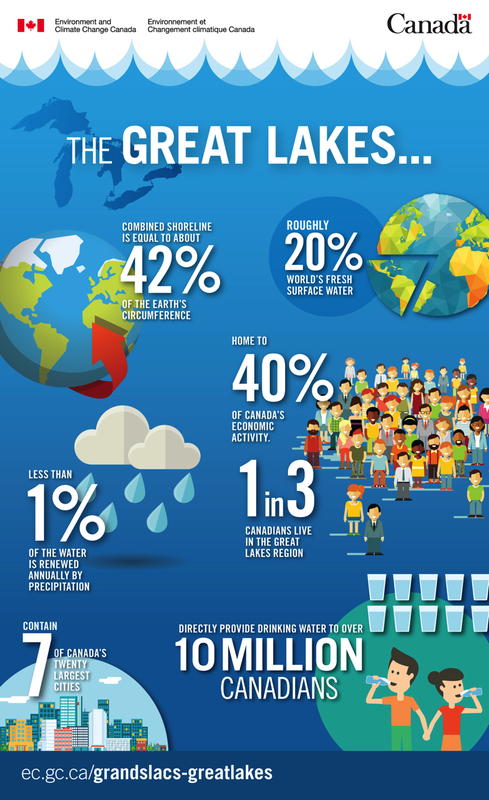 Environment and Climate Change Canada - Water - Great Lakes.